As December 21, the shortest day of the year approaches, when the gray and dark is at its height and golden sunshine is scarce, it’s easy to feel gloomy. Doctors have a diagnosis for that, Seasonal Affective Disorder (conveniently acro­nymed as “SAD”), a name coined in the 1980s by Norman E. Rosenthal, M.D., who did controlled experiments at the National Institute of Mental Health (NIMH) to study the effects of light. But light therapy has a much longer history. In antiquity, it was believed to help re-balance the four humors. Centuries later it was recognized that sunshine, and then electric light in various parts of the spectrum, could have therapeutic effects on rickets, psoriasis, lupus, vitiligo, fungal infections, eczema, sleep disorders, etc.—and not just emotional well-being. The modern science of phototherapy was inaugurat­ed by Danish-Faroese-Icelandic physician, Niels Ryberg Finsen (1860–1904), who received the 1903 Nobel Prize in Medicine and Physiology, for his pioneering work on the therapeutic and physiological effects of light treatment from artificial light sources. 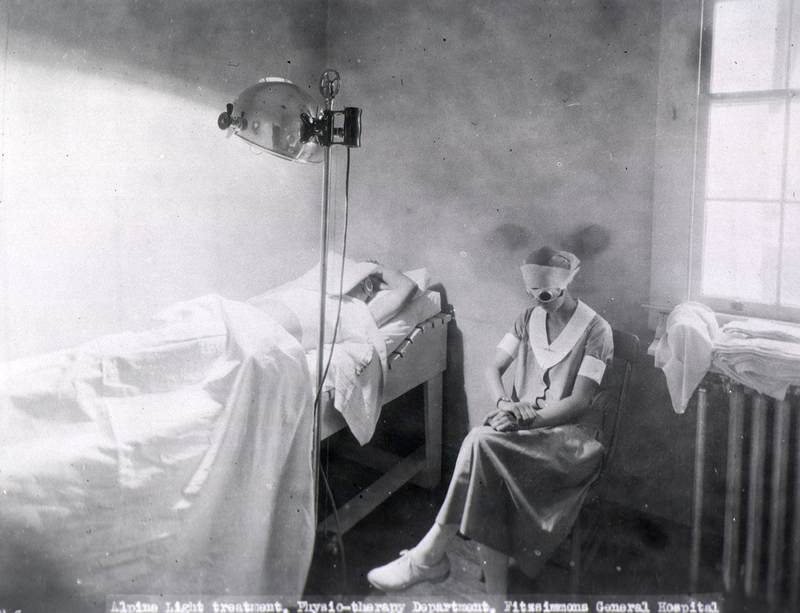 By the 1920s and 30s, light therapy was all the rage and manufacturers in Europe and America were making shiny new sun lamps that cast ultraviolet rays—and that also came to be used for cosmetic tanning. That practice is now treated with much greater caution (or should be): overexposure to ultraviolet light over a long period of time can lead to melanoma and other skin cancers. Michael Sappol, PhD, will be a fellow at the Swedish Collegium for Advanced Study, Uppsala for the 2016–17 academic year. He was formerly historian and scholar-in-residence in the History of Medicine Division of the National Library of Medicine. In June 2016 he relocated to Stockholm, Sweden.